SAN JOSE — A day after rescuers boated hundreds of people to safety during San Jose’s worst flooding in decades, city officials Wednesday let many of the 14,000 evacuated residents return home and blamed the sudden breach of Coyote Creek on bad information about its capacity. 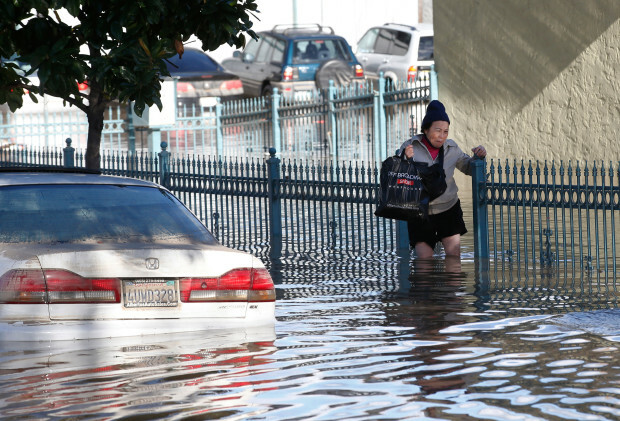 The flooding followed a series of heavy rains that filled Anderson Reservoir to capacity. 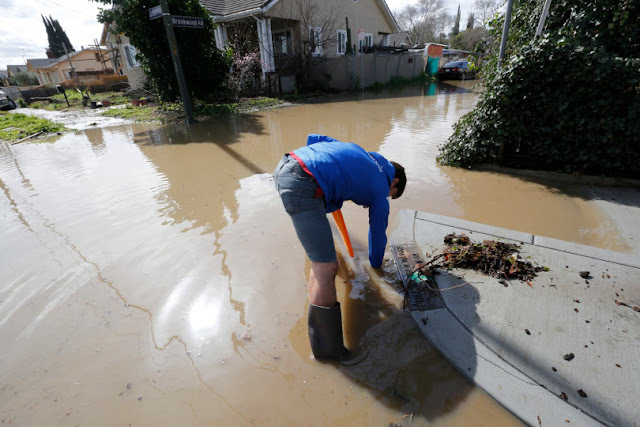 Downstream, Coyote Creek quickly swelled to four feet above flood level, cresting at 14.4 feet around 3 p.m. Tuesday and breaking a 95-year-old record of 12.8 feet set in 1922. 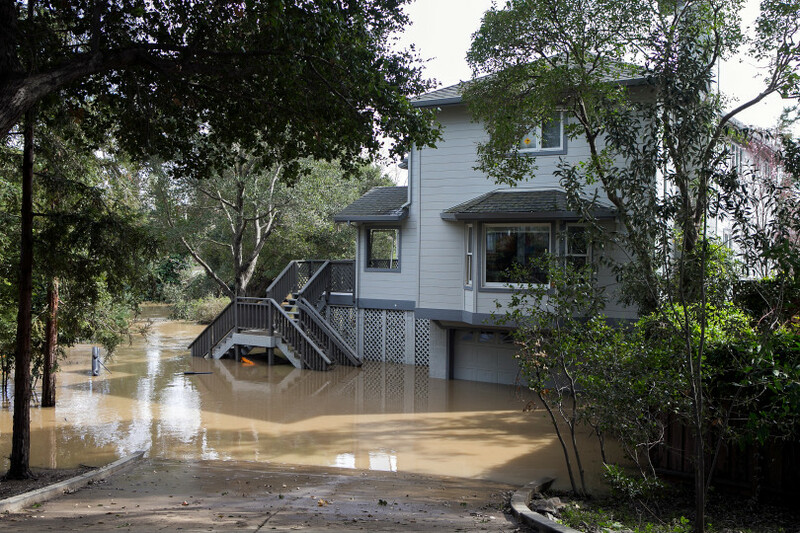 Over the last two weeks, heavy rains pushed water levels at Santa Clara County’s largest reservoir into the danger zone, with officials warning it could overflow. “They didn’t say it was going to go up as high as it did,” said Louis Silva, 48. 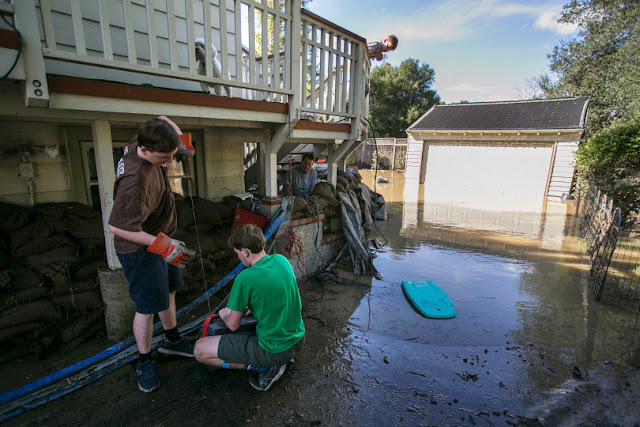 He said that his possessions were swallowed up in the flood and that the city should have warned people about the scale of the disaster with a cellphone text alert or by knocking on doors. 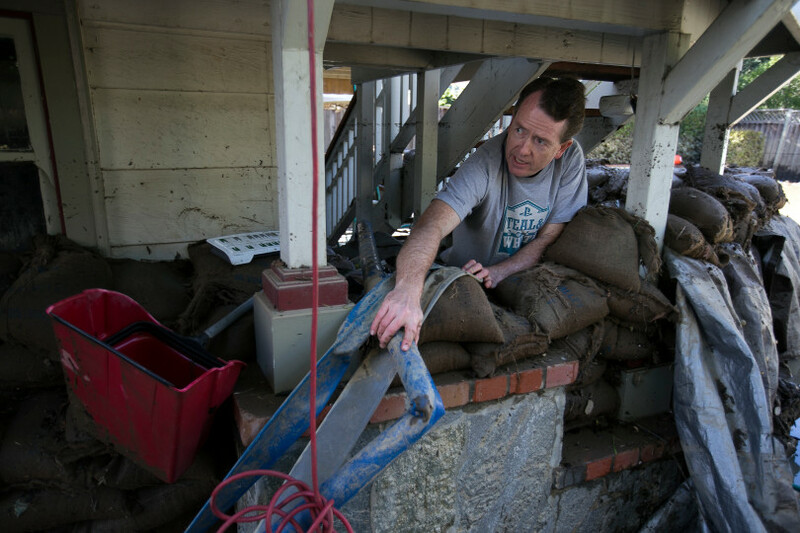 But by Tuesday morning, rising waters burst through the first sandbag wall, wrecking the cottage. 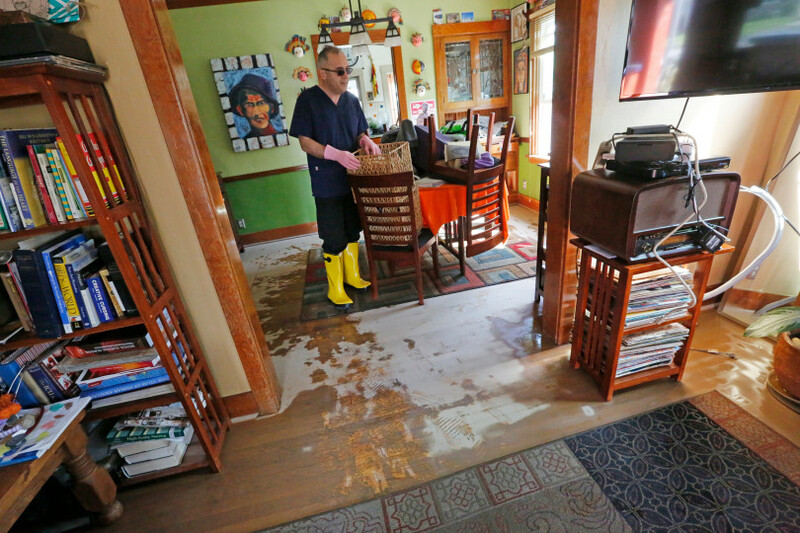 Then Souza watched as the water rose to two feet above his home’s windowsill. “It was like I was looking at an aquarium,” Souza said. 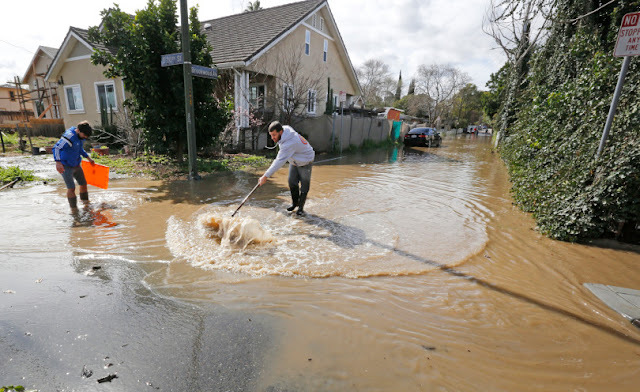 Anderson Reservoir, which is located in Morgan Hill about 22 miles south of downtown San Jose, had been releasing as much water as possible through its main outlet since Jan. 9, said Rachel Gibson, a spokeswoman for Santa Clara Valley Water District. The district was releasing water at a rate of 420 cubic feet per second through the reservoir’s outlet. Santa Clara water’s chief operating officer, Jim Fiedler, said his agency had been working in recent days with San Jose city officials on possible flood control options in case of a major event. 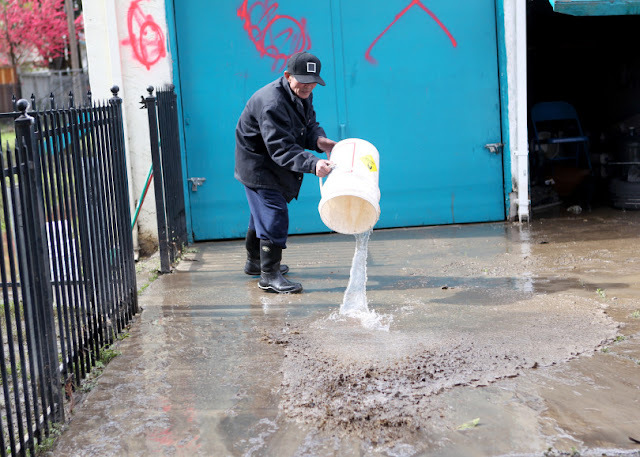 He said the district had been in regular contact with city officials. 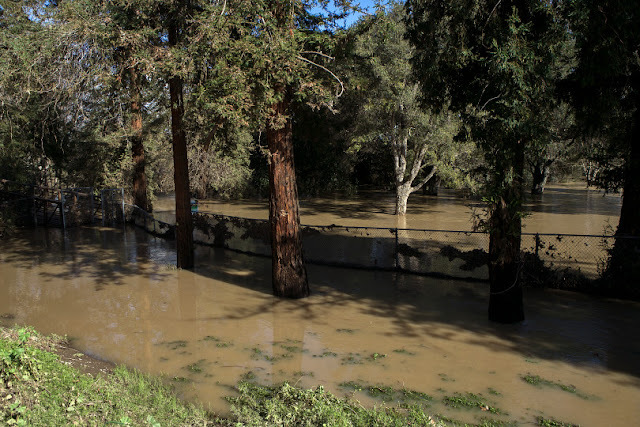 Coyote Creek slithers its way northwest from the reservoir to San Jose’s doorstep, where it proceeded to flood neighborhood after neighborhood, carving a destructive path through the heart of the city. 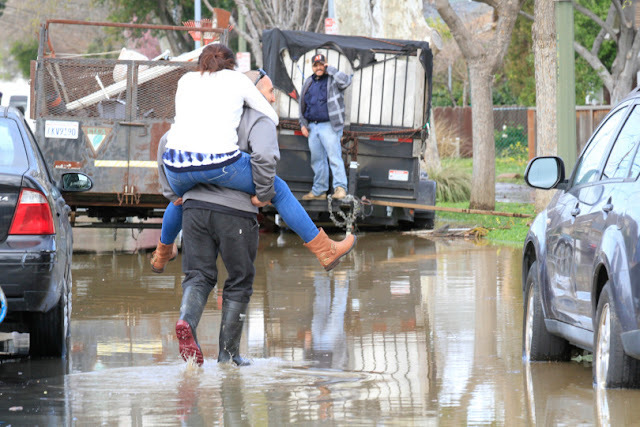 “This is a once-in-a-100-year flood event,” National Weather Service meteorologist Roger Gass said, referring to Coyote Creek’s surging height in South San Jose. 0 Response to "San Jose mayor: Clear ‘failure’ led to record flooding"